Domestic creepers, zombies and spiders to defend you from the enemies. 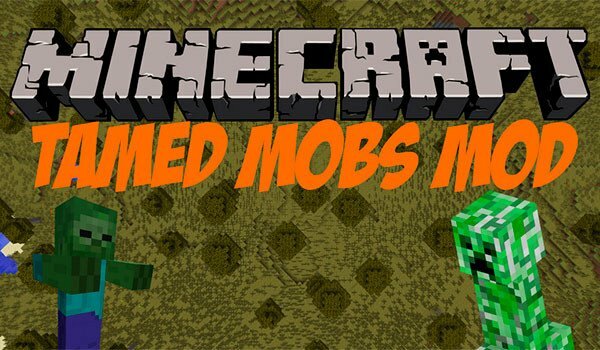 Tamed Mobs 1.7.10 is a mod that will allow us to domesticate our enemies, if, as you read. Although at the moment this function is only available with spiders, zombies and creepers. In the future the author plans to increase other mobs. To domesticate, we crafting a stick called “Branding Iron”. With it in hand, we’ll right click on a mob and after dialing all the numbers of the tool interface before the time runs out, we will have achieved a new friend, we can put a name. Once tamed a mod, do right click on it to access your inventory, where you can store objects and change their “character” to other mobs. We will have three options, which our colleague acting passively with other mobs, that is, to do nothing, in attendance, who will defend us when we attack mode, and aggressively, he will go only by the enemies. ¡Now you can create your own army of zombies, creepers and spiders!